Ramsey recommends giving your children, at as young ad 3 years old, three jars in which to put their money: Save, Give, Spend. We made jars for the boys early on. They have the opportunity to earn money by doing their chores every week. 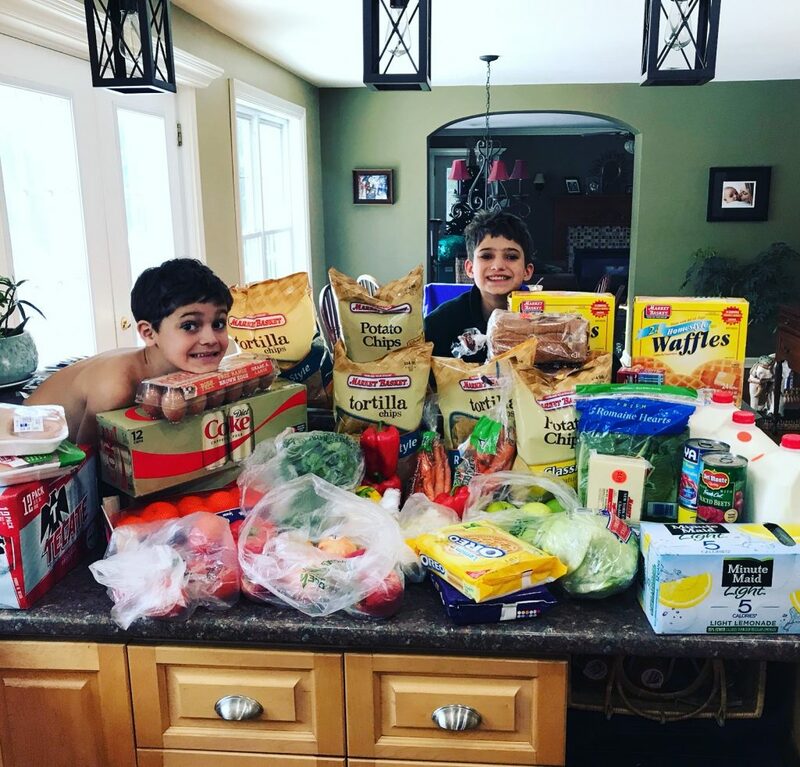 They can earn up to $6 per week for doing their three chores (these are age appropriate chores–for my 10 year old, it’s making his bed, clearing the table, and doing his laundry each week, and for my 7 year old, it’s setting the table, making his bed, and tidying his room). If they don’t do their chores, they don’t get paid. They must put $1 in their Saving jar and $1 in their Giving jar and the rest they can put into their Spending jar. This advice comes straight from Ramsey and we’ve followed it because it’s smart. The jars are a visual way to see where their money is going. Over time, they watch their saving dollars grow, and when they have enough, we open an interest-earning savings account. They take their Giving money to church each week, or sometimes they’ll save up and give it to another charity, like one the school is collecting for. 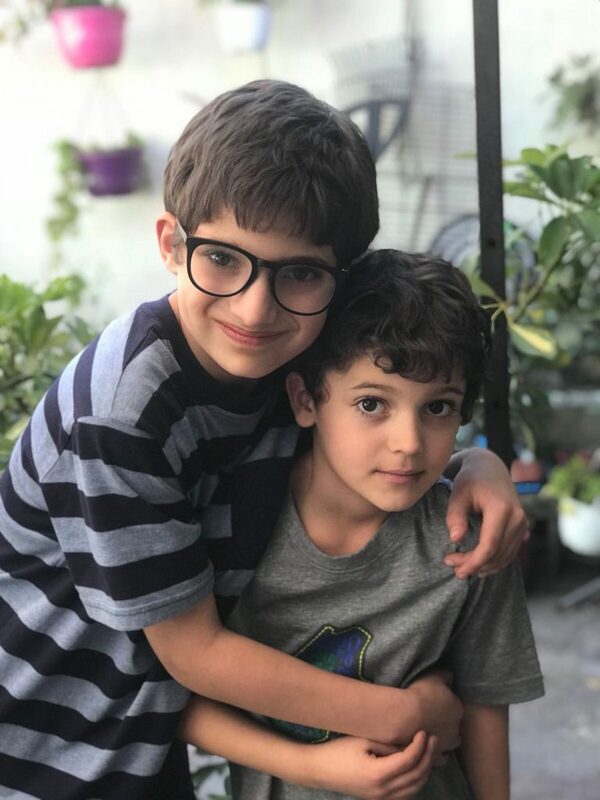 They’re both very proud to hand over their Giving dollars, and I love that we’re teaching them that giving money to those in need is not only a responsibility, but feels good. They have chores they have to do without getting paid, because we don’t get paid for everything in life, but by giving the boys the chance to earn their allowance money each week, we’re showing them the direct correlation between working and earning money. They’re in control of what they earn. And sink or swim, we’re teaching them that their efforts (or lack thereof) have financial consequences. Dave Ramsey’s daughter, Rachel Cruze, was recently on the Afford Anything podcast talking about this very topic. It’s a great listen if you have more questions about the jar system. In our society, money can be such a taboo subject. Why is that? We are very open with our kids about our money (some would say too open). Our oldest knows roughly how much net worth we have, and we show both kids their balances in their college savings account. We also talk about our budgeting with them, what we’re saving for, and how we plan to reach our goals (of location independence!). It’s fairly common for young children not to understand how the money system works and to therefore feel scared about it. My youngest, who’s 7, recently asked me, “Mom, what happens if you or Dad loses your job?” This is a valid question, and one that could cause many families concern. With kids, you can only go into a small amount of detail. 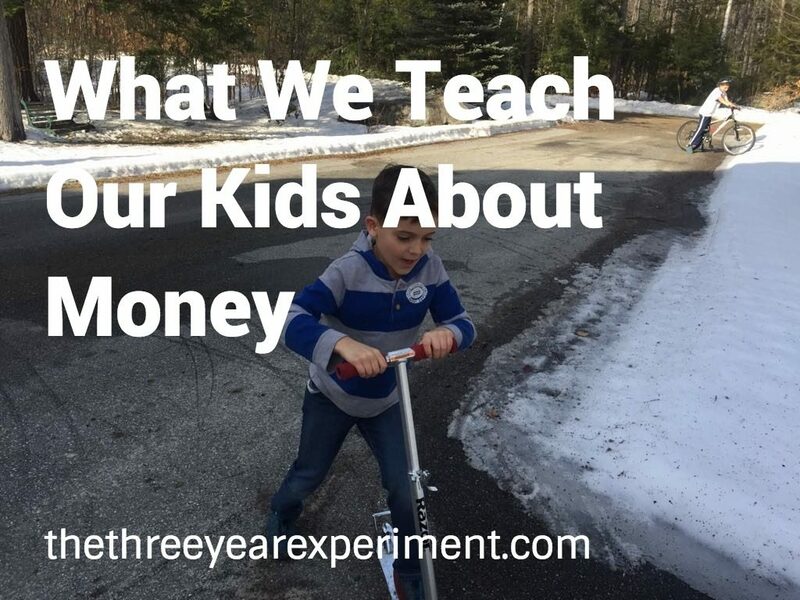 We’ve learned that teaching them about money is something that’s better served in small bites over time. When our kids were very little, they asked for new toys all the time. Even though we didn’t have cable, they would occasionally see ads for new toys and want them. Or, they would ask if we could go on vacation in Hawaii because Phineas and Ferb did (that trip is still on our list, by the way). The kids know we have a grocery budget. One thing we have told them, especially related to travel, is, “that sounds like a great trip! We’ll save up for it and make a plan about when we can go.” Hence, we have a trip to Hawaii that we’ll be taking one day in the not-so-distant future (I’m not sad about that one!). Little ThreeYear (in a whine): Mom, can I get that (insert overpriced made in China piece of plastic here)??!!!!! Me: Oh, what a cool toy! If you’d like to get that, let’s put it on your (Christmas or birthday, whichever is closer) list! Little ThreeYear: Okay! Ooh, when I get that, I’m going to…. (talks a minute about the toy, then moves on to something different). We told the boys that we only bought toys on Christmas or their birthdays, and so, if they wanted a toy, we’d be glad to “put it on the list” and get it then. Of course, there is no list, but when they were little, they didn’t know that. They’d forget about the toy in 2.8 seconds and then move on to something else. But, when we told them we’d put it on the list, they felt reassured that their desires were being acknowledged and they could get that toy someday. That trick worked beautifully for years, and we still occasionally use it. In this way, we slowly taught our kids about delayed gratification. They learned that just because you want something now doesn’t mean you get to have it now (this is an extremely powerful lesson that unfortunately, many adults have yet to learn!). If they really wanted something badly, and talked about it over and over, we’d get it for them on said holiday. Another strategy we’ve used as the kids have gotten older is to allow them to use their spending money to buy themselves toys. It’s their spending money, so they can spend it however they’d like (as long as it’s not something outside of our values). If they want something, they have to wait the requisite number of weeks, making sure they do all their chores in the meantime so they can earn the maximum allowance possible. Sometimes they’ll also do extra chores so they can get paid extra. And their grandparents always seem to be handing over bonus amounts of cash. So they often have funds to spend, or misspend, as they wish. Little ThreeYear is a spender. He’s been that way his whole life. He spends every spare nickel on Lego sets and other toys he wants. He loves to look at fast, shiny cars and ginormous Lego sets and imagine himself with them. This dude lives life to the fullest. This stresses his older brother out. Junior ThreeYear is a saver. He saves as much money as he can, only occasionally indulging in buying a game for the XBox (or now, Nintendo Switch, which he got for Christmas). We’ve had many talks with Junior ThreeYear about how he has to understand that his brother has a different money philosophy than him. Little ThreeYear will probably never save as much of his income as his older brother, and that’s okay. We’re not trying to turn our kids into mini-clones. Different people have different values. What we do teach Little ThreeYear, as much as we can, is that buying stuff doesn’t bring as much happiness as buying experiences. We’ll often buy the boys experiences for birthdays or Christmases. 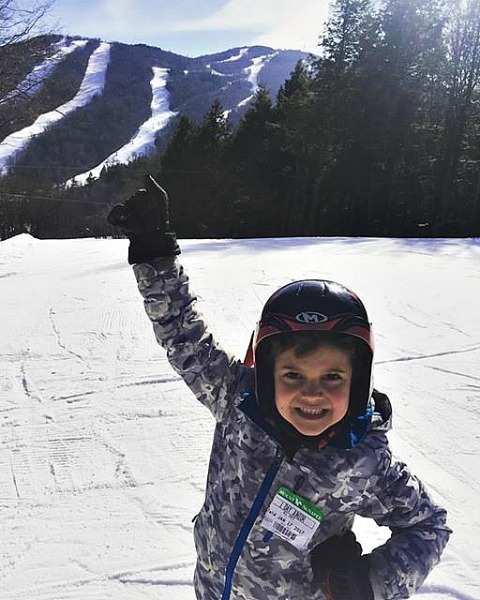 For their birthdays last year, their grandparents bought them season ski passes, and we’ve talked every time we’ve gone skiing this season about how what a great birthday gift it’s been. For me, the best money lessons in life were ones I experienced myself, and that’s exactly what we want for the boys. By giving them money to manage and mess up with now, we’re allowing them to make money mistakes (which we all make!) on a smaller scale. Hopefully, when they start to earn larger amounts of money, they’ll have left the big mistakes in the past and can manage their funds better. There’s so much to talk about regarding kids and money that I’ll be back next week with more! How about you? What do you do to teach your kids (or nephews, nieces, cousins, friends’ kids) about money? Thanks for these practical tips. Ours are still very young but this seems like great advice. I especially like the part about not trying to change who they are, and acknowledging their difference. Your boys are adorable, btw! Good tips! We are working on getting a system down for our kids’ money. So far we’ve only paid them for extra chores a couple of times. I like your idea of the three jars as a good visual way to stay organized. Thanks Mrs. COD! I’ve found that even paying our kids a couple of times a month (because we forgot) teaches them a lot. The jars have been key for us. It’s such a powerful visual for the kids, and shows them that some money isn’t for touching yet. Loved your post! I have a 9 year old, and I can relate to most of what you wrote. Initially we weren’t too conscious about the words we used, and kept telling him “But that’s too costly!”. And then, one day, he asked me why we were so poor. That is when I realized that he thought that we didn’t have enough money. I sat him down, and explained that we earn more money than we need, but that didn’t mean that we should spend it all. This was a few years back. Now he understands what we mean, and I am more careful picking my words. Thanks so much, BusyMom! Oh my gosh I think almost all parents feel like we’re messing it up! Nothing like parenthood to keep you humble, right? I know–my boys internalize my words in the weirdest ways some times and I realize a throw-away comment can leave them all tangled up! I had to change my language around “You’re so good at…” to “You’re such a hard worker; you’ve worked so hard at that!” a few years back with my oldest, because of the whole growth-mindset thing. It’s a lot to keep up with, right?! There’s a lot of good tips here. One thing we don’t do is pay our kids an allowance for household chores. They’re expected to pitch and they do. But financial matters are not kept secret from our kids. They learn to understand what we deal with, and why sometimes we make concessions. I love the fact that you don’t keep financial matters secret from the kids. I also think sometimes making concessions is a great idea–my kids’ negotiation skills are pretty good, and they’ve talked us into buying something more than once. I think it’s a great idea that the kids are expected to help out around the house. Ours are for some things, but we could do much better about being consistent with our expectations. Because they’re very hit and miss with their general chores.